Ready to show your horsepower? Hope’s Legacy Equine Rescue is hosting its second annual “Hoofin’ It For Horses” 5K Trail Run on Sunday May 5, 2019. The trail will take you through the beautiful, peaceful terrain of Castle Rock Farm, Hope’s Legacy’s new permanent location. This run is open to all age groups. The race festivities will wrap up with a Field Dash for kids 8 years and under. All proceeds will benefit the animals at Hope’s Legacy, a 501(c)(3) charity. Since 2008, Hope’s Legacy has rescued over 215 horses, donkeys, mules, miniature horses, and ponies from situations ranging from Animal Control seizures to owner surrenders. The need for equine rescue in Virginia is not decreasing, and Hope’s Legacy functions as a necessary community resource primarily through individual donations. Castle Rock Farm was purchased to enable the Rescue to eventually accommodate about 50% more equines than currently served. Hope’s Legacy will be holding a public Open House from 9AM – 2PM following the Hoofin’ It For Horses run. Runners are welcome to stay on the property, meet and learn about our 4-legged friends, and take advantage of the food trucks, music, educational programs, and kids games. 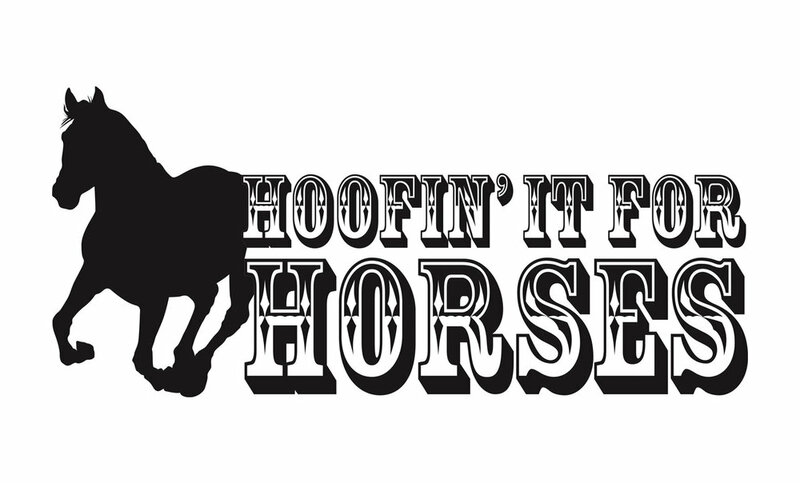 Hoofin’ It For Horses will be held Sunday, May 5, 2019, at 2080 Castle Rock Road, Afton, VA 22920. Registration on May 5th will begin at 7:00AM, with the Trail Run beginning at 8AM. “Kids Field Dash” for children 8 years and under is at 9AM. Early registration for the 5K (November 25, 2018 through April 28, 2018): Adults $30, 17 and under $20. Race will be subject to weather. The “Kids’ Field Dash” (8 years and under) is $5. In Touch Massage Therapies will have a demo at 10:30 a.m.
Meet the Tarpans and learn about this fascinating breed at 11:30 a.m.